There are many possible alternative or complimentary therapies that can be used as part of an anger management programme and aromatherapy is just one example. Aromatherapy is known to be useful in the treatment of many physical and psychological complaints and it can even be used to help reduce anger and decrease stress. Aromatherapy is a form of therapeutic action that aims to promote both physical and mental health and the general well-being of users. Using essential oils either individually or combined together using specially formulated recipes, the oils can significantly change someone’s mood or aid healing. How Can it Help Decrease Stress And Anger? Most people could benefit from aromatherapy even if they don’t think they have anger issues or high levels of stress. Aromatherapy is frequently used with massage and can help improve circulation and respiration, ease aching muscles and joints and encourage the individual to relax and let their stress flow from their body and mind.Along with the physical contact of massage and the benefits that brings, special oils that are known to relax the mind can be incorporated to let the person de-stress without even being aware of it. There are a wide variety of oils that can be used to help reduce mental stress and anxiety which could be enough for some people, to prevent anger from building and becoming problematic. Lavender, Juniper, Cinnamon, Clove and nutmeg are just a small example of the large group of aromas that target this issue. Aromatherapy may be enough alone or can be used within a specific anger management programme. It does not necessarily need to be very expensive to access aromatherapy as there are many products available in the UK along with a vast choice of CDs, DVDs and books that can assist you in learning how to use aromatherapy correctly. These can be found in libraries or from practitioners who offer private consultations and treatments though private appointments can be more costly than going it alone. Aromatherapy does not simply mean smelling oils and floral fragrances as it was once often thought of, as now it is one of the most recognised of the complimentary therapies and considered by some to be somewhat of an art form.Aromatherapy can involve the use of burning oils and scented candles allowing for a more relaxing environment and ambiance but may also be included in massage (both therapeutic and sensual), used medicinally and as it is so popular and recognised and relied upon can now be found in the form of air sprays, lotions and fragrances. 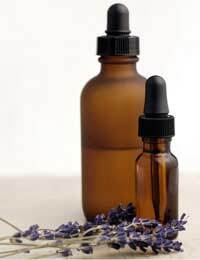 Care must be taken with aromatherapy products as they can interact with some conditions and medications. If you are hoping to use aromatherapy please speak to either an aromatherapy specialist or practitioner or your GP before use if you are taking any medications, think you might be pregnancy or are breast-feeding or if you have any recognised medical conditions.It is advised that some research is carried with regard to specific aromatherapy oils and products as they must be used correctly. Keep all aromatherapy oils and equipment away from children and be careful when using burning devices or candles. Aromatherapy has increased greatly in popularity and usage over the past few decades and even medical professionals are now recommending and recognising the benefits it can have on health if used correctly and sensibly.Those who are feeling very stressed and are starting to have or have existing anger issues can almost definitely find some form of soothing and calming therapeutic measure from using aromatherapy and including it in their anger management programme or in conjunction with other therapies.